Teeth can be lost for various reasons. Not only is a missing tooth a huge cosmetic concern, a missing tooth can cause many dental problems as well. Teeth are designed to work together. When one tooth is missing the other teeth must take more chewing forces. Also, teeth will drift into the missing tooth space because the teeth are looking for their “chewing buddy”. This causes shifting of the teeth and chewing problems. Right or wrong, society views people with missing teeth as uneducated and lower class. Missing teeth can affect your social and professional life. The best way to replace your missing teeth is with a dental implant. Pasadena Dentist Dr. Nugent is a leader in dental implant. Dr. Nugent has helped patients from Pasadena, Deer Park, La Porte, League City, Clear Lake, Webster, Pearland, Friendswood and Houston. There are other options of replacing missing teeth such as bridges and dentures. However, Dr. Nugent used dental implants to replace missing teeth on his Father, Father-in-law, Mother-in-law, Office Manager, Hygienist, and the daughter of a hygienist. Basically dental implants are the best way to replace missing teeth and that is why Dr. Nugent used dental implants on his family and staff members. Dental implants are the longest lasting and most advanced way to replace missing teeth. They will never get decay and will never need a root canal. 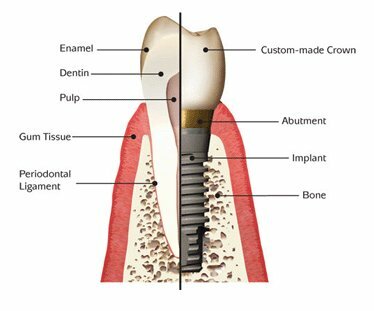 Dental implants are the only tooth replacement options that preserves and stimulates bone levels. Lastly, dental implants do not damage adjacent teeth like old fashioned tooth replacement options of bridges and partial dentures. Dr. Nugent is a leader in dental implant treatment. He is one of the few general dentists that can both surgically place the implant into the jawbone and restore the dental implants. Call our office 73-941-8261 to schedule your dental implant consultation. Get the best in dental implant care for you and your family. You deserve the best dental care possible. 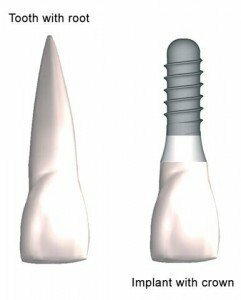 If you are missing a tooth then dental implants should be your only consideration. Nothing is better then a dental implant when restoring a missing tooth. 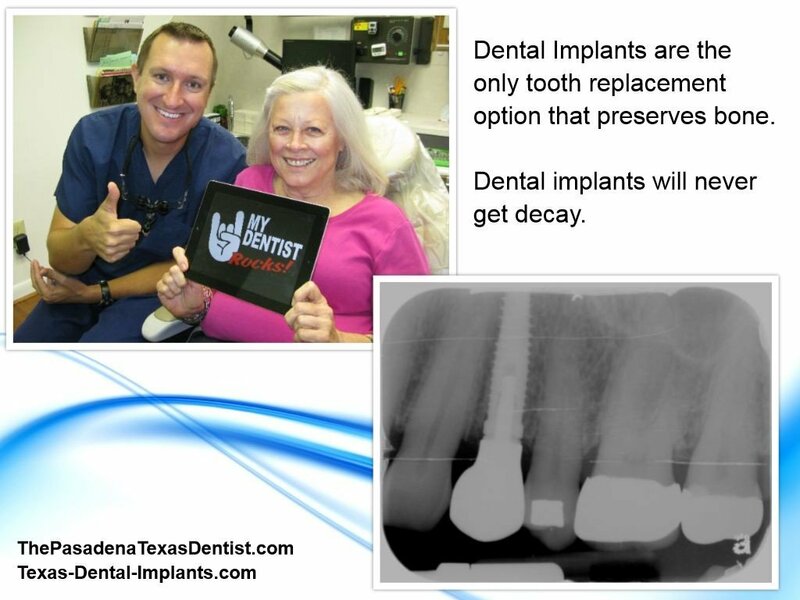 Call our office today at 713-941-8261 to set up your dental implant consultation. Or visit us at 3421 Burke Rd Ste A, Pasadena Texas 77504.